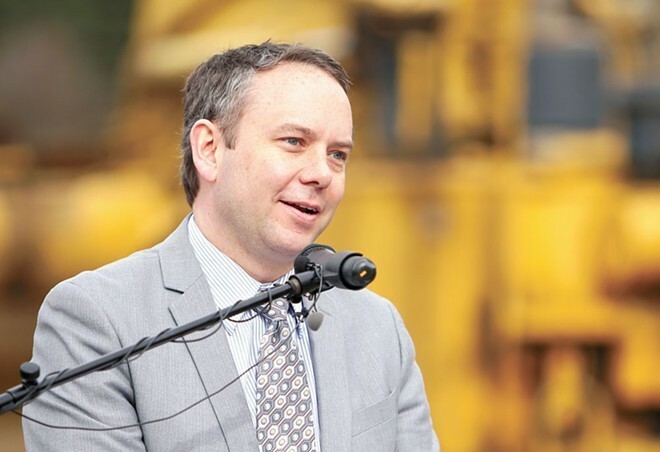 With Mayor David Condon on the last year of his second term as mayor, and three candidates jockeying to replace him in the 2019 election, fresh eyes are coming soon to the longstanding issue of civilian oversight of the Spokane Police Department. Back in 2008, the city moved to create the Office of the Police Ombudsman (OPO) to oversee investigations into allegations of police misconduct in response to high profile and controversial incidents such as the Otto Zehm case. Then, in 2013, voters overwhelmingly approved Proposition 1 to solidify the ombudsman's powers and establish the OPO Commission, a five-member civilian board that guides the work of the ombudsman. But the relationship between the OPO and SPD has been strained, and both sides disagree on what oversight looks like. The Spokane Police Guild successfully undermined attempts by the city to unilaterally expand powers of the OPO back in 2011 and the police ombudsman has repeatedly clashed with the SPD over access to sensitive information — like body cam footage — and the law enforcement agency's alleged failures to properly investigate citizen complaints made against cops. To get a sense of how the city's response to police oversight disputes might look in 2020, we checked in with the three mayoral candidates to see where they stand on the ongoing tussles between the OPO and SPD and the contract negotiation process between the Police Guild and the city. On the issue of whether OPO staff can access IAPro — the database system used by SPD Internal Affairs to log complaints against officers — Stuckart, the left-leaning current president of the Spokane City Council, thinks that the 2013 ordinance makes clear that the OPO should have broad access to the records. "[In] a plain reading of the ordinance, there’s no ambiguity," Stuckart tells the Inlander. "It’s clear language that anybody working there should have access. There should be no argument there." "I would point to the clear language of the ordinance and direct the police chief to give access," he says, assuming he wins the 2019 election and becomes mayor. "There’s absolutely no reason that that needs to be negotiated." He thinks that Mayor Condon should move ahead and order Chief Meidl to give OPO staff access to IAPro and risk a potential complaint from the guild, going on to call Condon's rationale that the disputes should be resolved in the ongoing contract negotiations a "poor excuse to not act." However, when asked whether SPD should hand over the unredacted case files on use-of-force incidents involving people of color, Stuckart is less definite. "I haven't looked into that issue as much," he says. "You already have oversight [over] the Spokane Police Department, and that ultimately is Chief Craig Meidl," he adds. "He holds them accountable." As for the ongoing contract negotiations and the city's stance that the issues between OPO and SPD be indefinitely put on ice, Poole thinks that the bargaining process should play out before SPD accommodates any of the disputed OPO requests. "Don’t upset the apple cart right now, let the process move forward," he says. "After the contract is settled then sit down at the table and come up with an appropriate solution for what to do." Poole adds that Logue and the rest of OPO may also be acting out of self-interest to justify being on the city's payroll. "If he doesn’t meet the vision and the mission that he’s given by his employer, at the end of the day he may be out of the job." Of Logue's alleged jockeying for influence, Poole says: "It’s kind of a power play." The young progressive face in the race, Schroll, 27, is all-in with the stance that SPD should immediately accommodate the various requests made by the OPO. "A s a mayoral candidate, I definitely support the ability of the police ombudsman to do their job," he says. "The department should not be restricted." "The community has repeatedly supported oversight of the department," he adds. "It is important that any faction of city government that is beholden to people or the voters have that independent oversight and no government agency should be free of those limitations." As mayor, Schroll says he would order SPD to resolve its stand-off with the OPO despite the ongoing contract negotiations. "If it comes down to it, I would take any action necessary to ensure that we have public and independent oversight with our Police Department." He also says that the Police Guild has "repeatedly stood in the way of that transparency and independence" and that contract negotiations between the union and the city should be made public. "We need to work to increase the trust between our Police Department and the public," he says. "There are still entire segments of our community that still feel that the Police Department doesn’t respect them."